If your garage door cables snapped, you need to give us a call immediately. A broken cable can leave your door dangling helplessly and dangerously. You cannot repair this component once it has snapped, but it can be replaced quickly and effectively by one of our experienced garage door specialists. These components are like any other in a mechanical system. They can wear out and break. We offer a customer service guarantee on all of our services, including your garage door cables in Thornhill. It is essential that any type of installation is completely correctly. If the process is not accurately administered, problems can arise in the future. The qualified technicians at Garage Door Repair Thornhill understand this concept and we pay strict attention to detail on every installation project. We still believe in good old-fashioned customer service. Our technicians are always friendly, professional, and helpful. When you need cables installed, contact us first because we are committed to installing garage door cables right the first time in Thornhill, Ontario. If your garage door cables keep coming off, you obviously have a problem. There is a fair chance that they only need to be tightened down enough to keep them from coming off. Our thoroughly trained techs can resolve this issue in no time at all. In most cases, a few specific adjustments will ensure the component stays in place. A garage door cable off the drum can cause your door not to open or close. Simply trying to slide it back on the drum every time will not solve the problem. Let us come out and fix it right. 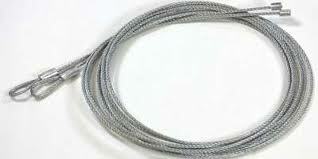 We offer outstanding Thornhill garage door cables service at very competitive rates. Our technicians administer replacement and adjustment options quickly and accurately. 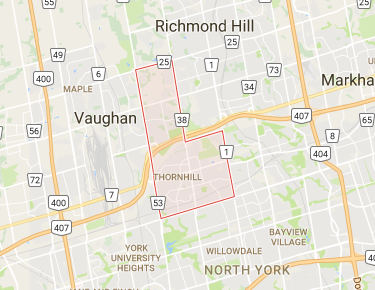 Get in contact with Thornhill Garage Door Repair today and ask about that customer satisfaction guarantee.